Communities throughout Grey and Bruce counties will be participating in teh Naitional Hike for Hospice. This event is conducted in order to raise awareness of Hospice and of its need for financial support. The Hike brings together family and friends in remembrance and to honour those who have passed. It also brings about a sense of community support and regard for the importance of Palliative Care that is being delivered in our area. 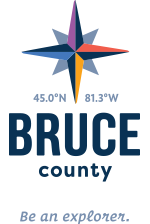 Last year, 8 communities throughout Grey-Bruce raised a total of $170,000.00 for the Residential Hospice of Grey Bruce. Our community of Saugeen Shores donated a total of $5355. Our goal for Hike for Hospice 2019 is to raise $8000. This is done by means of business sponsorship, individual and team hikers' pledges, and donation from individuals, service clubs and organizations.